Members of groups like Saberguild, the 501st, and Rebel Legion, were invited to attend a limited screening of the final four episodes of Star Wars: the Clone wars at LucasFilm’s Presidio location. Our screening preceeds the eventual release of the entire series on March 7th through Netflix. The screening also saw a fair number of celebrity attendees, including Tom Kane, the voice actor of Yoda in the Clone Wars cartoon, Matt Lanter, the voice of Anakin, Sam Witwer, the voice of Darth Maul, Dave Filoni, the Supervising Director of the series, and of course Leland Chee, keeper of the Holocron and member of the Star Wars story group. The night began with a brief introduction from Leland Chee and Dave Filoni, who swore the audience to spoiler-secrecy, and then the film began. The film begins with season six, episode ten, “The Lost One,” which tells the story of the lost Jedi Sifo-Dyas, who you may remember as the Jedi briefly mentioned in Attack of the Clones, who ordered the creation of the Clone Army. Obi-wan and Anakin begin investigating his disappearance together, visiting the Pyke Syndicate to negotiate information from its members. 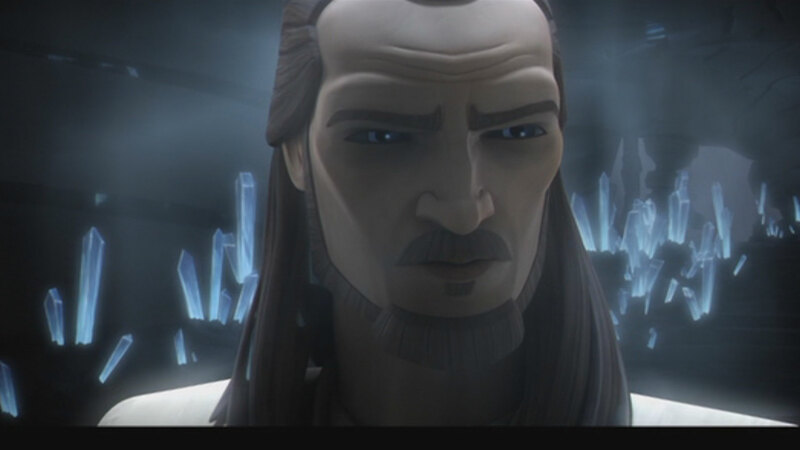 The plot was rich, and easy to leap into even for someone that has not watched every episode of the Clone Wars. This story blended seamlessly into the next episode, “Voices,” where Yoda begins to question his sanity as he is visited by the disembodied voice of Qui-Gon Jinn. Yoda approaches the Jedi council, but it is generally deemed impossible for Qui-Gon to contact him this way, and he is put under observation. Following the voice of Qui-Gon Yoda travels to Dagobah with R2D2, where Qui-Gon puts him on a journey that will span the next two episodes. The scenery of Dagobah was beautifully rendered, and in the Q&A following the film Dave Filoni discussed how they carefully recreated Dagobah from the blueprints and footage used for and in Empire Strikes Back. Where there is a corner in ESB, there is a corner in Voices, where there is a small shrub in ESB, there it is in Voices. This made this scene especially beautiful and nostalgic. The third episode was called Destiny. In Destiny, Yoda continues his journey with R2D2 to a planet that is the birthplace of the force and Midi-chlorians. There he meets a quartet of sisters who can teach him how to remain as a force-spirit after death. The artwork of this world, and especially the sisters is striking, with the illusion of brushstrokes on their masks, and huge imaginative plants rising on floating islands. Throughout the film there was a huge amount of what I saw as inspiration from Hayao Miyazaki films, and this was later acknowledged in the Q&A.This new world showed a lot of inspiration from the film Laputa, as well as Princess Mononoke. Filoni even stated that the appearance of the sisters is inspired by No-Face from Spirited Away. In the fourth and final episode, “Sacrifice,” Yoda’s journey takes him to the Sith homeworld, “Moraband.” This probably the most newsworthy non-spoiler in the whole film, and it was addressed in the Q&A after. During a meeting with George Lucas, Lucas stated that he felt “Korriban” sounded too much like “Coruscant,” and wanted the name changed. This was discussed a bit in the Q&A, when Leland Chee suggested that often planets can have multiple names, and that may be a way to rectify this in the forthcoming canon. In general, it seemed to be a change that was completely out of the hands of Dave Filoni and was entirely a George Lucas decision. Moraband was another beautiful world, where Yoda meets a familiar character (where we finally get to hear the long-rumoured Sith voice of Mark Hamill) and we see more distinct Miyazaki inspiration in how a group of Sith spirits move, hearkening very much to the dying Boar God from the beginning of Princess Mononoke. 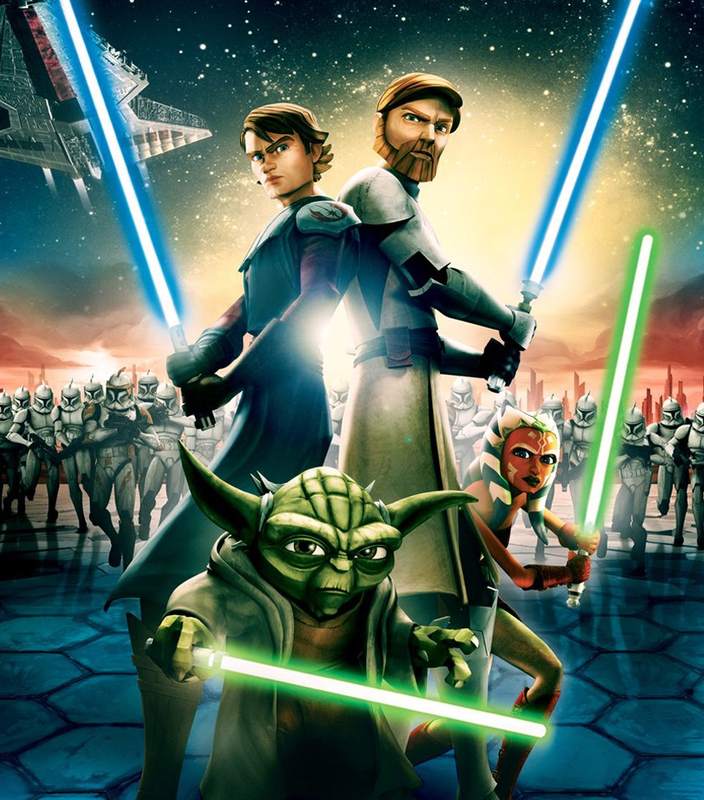 Overall the film was very energetic, with a well thought out plot that answered a lot of questions that were left both in Star Wars the Clone Wars and in Attack of the Clones. There were a lot of familiar faces from throughout the Clone Wars and Star Wars canon, and it was a satisfying ending to the series. Undoubtedly there will be a lot of fan reactions to the effective canonical changes in this arc, from Moraband, to the changes of force spirits, and the very essence of the force. It will be interesting to see how these changes affect the new canon from here on out. Horatio is a Youtuber, Star Wars Fan, and Costumer who's further work can be seen here. Wayable clone is the future of the travel which enables users to share their experience and invite others to participate on them.Wayable is an online marketplace where people can book/ discover unique travel experiences from local guide. Episode 94: TV's Cody Stark!